After four years of filming, independent filmmaker Christopher Ian Smith has turned to Kickstarter. 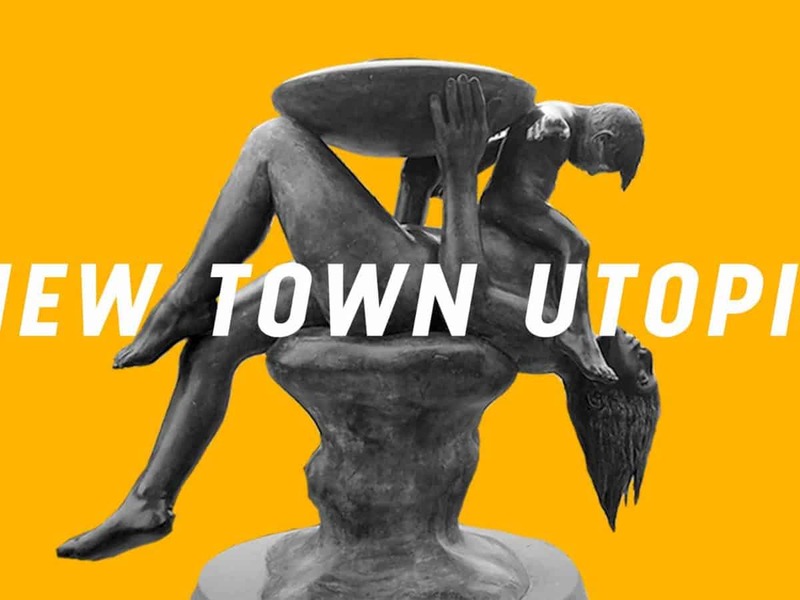 He needs to raise the funds to complete his unique, poetic documentary New Town Utopia, a film that explores the grand utopian dreams and harsh concrete realities of Basildon, Essex… a town with a terrible reputation, fragmented community and failing economy. Its people are deprived, unfulfilled and unhappy. What happened? It wasn’t meant to be like this. The British New Towns were designed as social utopias, built to create a ‘new type of citizen’ – with homes by progressive modernist architects, job opportunities, green space and a plethora public art. Basildon now is a cultural vacuum, so New Town Utopia uses the town’s art, architecture and creative people as a lens to ask the question: Do people make the place, or does a place make the people? Basildon’s story mirrors that of many British towns – impacted by globalization, failed by national policy and barely surviving in the shadow of London. It’s often referred to as a political barometer of the state of the nation… from ‘Little Moscow On The Thames’ in the 70s, (due to its socialist council and eastern European aesthetic) to home of Thatcher’s ‘Basildon Man’. It turned to Blair in the 90s and Brexit in 2016. It’s a town that’s been labeled many things – most of them bad. The characters in the film are a group of funny, passionate artists who’ve led complicated, and sometimes tragic lives. This includes a puppeteer (and his angry puppets), poets, musicians and a painter. They share one thing in common, a refusal to give up creating, against all the odds. It’s a passion project – about a place that deserves better, the utopian ideas of the mid-twentieth century and the importance of art to our happiness. Camus referred to Utopia ‘in contradiction to reality’…maybe new towns were an impossible dream. It’s also a very relevant film for now – as the housing crisis exposes the long term impact of ‘right to buy’, globalisation decimates traditional high streets, and the Brexit vote revealed the depth of dissatisfaction of people with their lot. This film is a chance to explore the complexities of a place so often derided on local and national level. In doing so it reflects on the issues impacting all our towns and communities. I wanted to do this in a way that reflects the spirit, down-to-earth humour, and incredible stories of people from the town. New Town Utopia is Directed by Christopher Ian Smith (Arterial, Cumulus). The Executive Producer is Margaret Matheson (Scum, Sid and Nancy, Sleep Furiously).